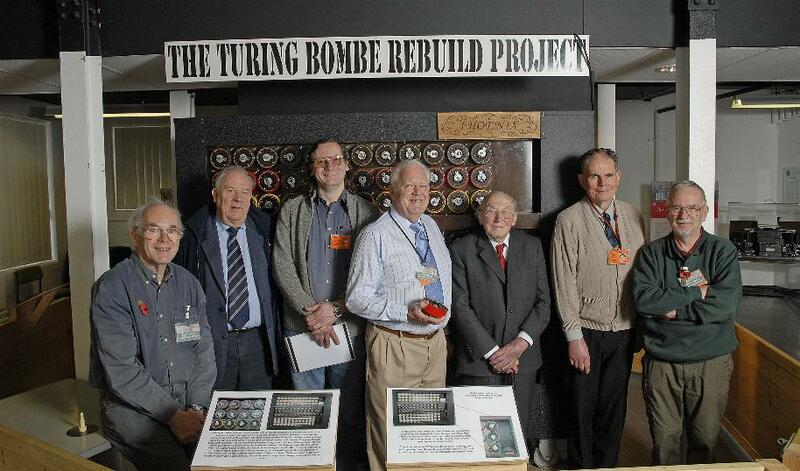 The Bombe Rebuild team led by John Harper (centre) on the occasion of the visit by the late Sir Maurice Wilkes (5th from the left) with David Hartley (2nd from the left), the then chair of CCS. The Bombe code-breaking machine has been voted the favourite artefact ever to have won an Engineering Heritage Award. 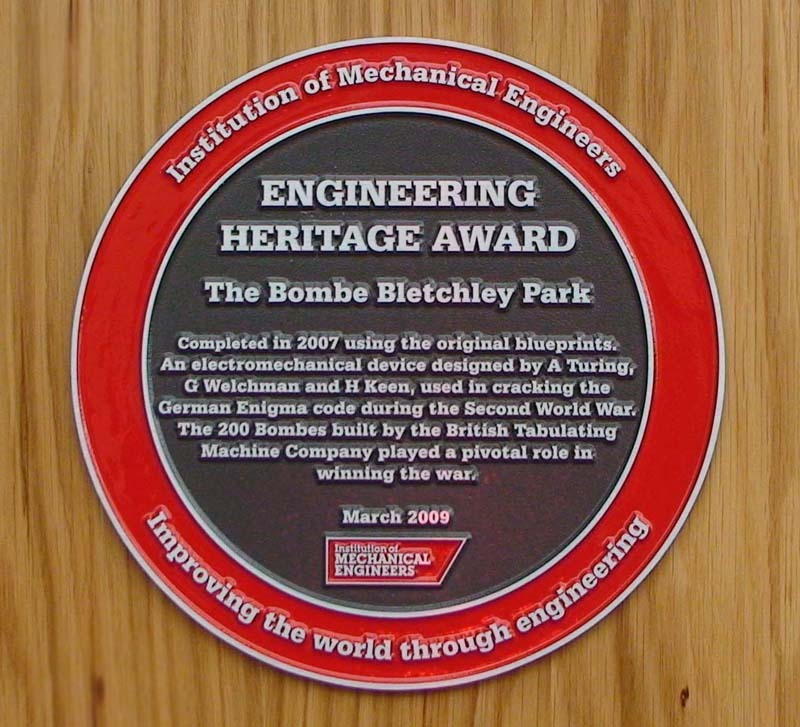 The Computer Conservation Society (CCS) and its team led by John Harper which reconstructed the Bombe at Bletchley Park is delighted by the accolade. To mark the 30th anniversary of the Engineering Heritage Awards, the 105,000 members of the Institution of Mechanical Engineers were invited to vote for their favourite of the 99 artefacts to have received a heritage award. The Bombe won with Concorde and the Rolls Royce RB 211 engine in second and third places respectively. The Bombe was an electro-mechanical device designed by Alan Turing, Gordon Welshman and Harold Keen to crack the German Enigma cipher during the Second World War. The 200 Bombes, originally built by the British Tabulating Machine Company, were capable of decrypting up to 5,000 messages each day and the intelligence they gleaned helped shorten the war. Using the Bombe's original blueprints, a CCS team led by John Harper completed a reconstruction of the Bombe in 2007. The task took 13 years of meticulous research and engineering and the result is now on display at Bletchley Park.